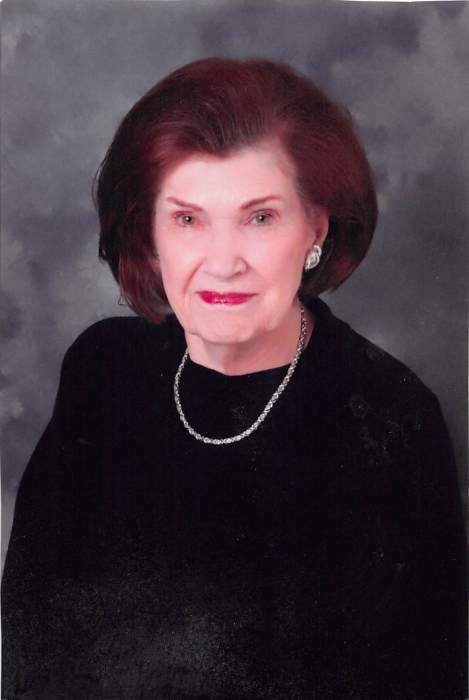 Jo Ann (Mason) Harrison, 89, of New Albany was called to Heaven Monday morning in New Albany. She was born in New Albany to the late Wilbur and Gladys (Smith) Mason. She retired as executive secretary from Brown-Forman in Louisville, Kentucky and she was a medical transcriptionist for almost 20 years at Dermatology Specialist in Louisville, Kentucky. She was a longtime member of St. Mark’s United Church of Christ in New Albany. She is survived by her nephew James P. Hall Jr. (Vickie); her niece Deborah G. Caudill; great-nephews Jonathan A. Hall (Shawna) and Michael A. Hall (Andrea); her great-niece Erin M. Harbeson (David) and 7 great-great nephews and nieces. She was preceded in death by her husband Carter M. Harrison, her parents, her sister Audrey Hall and two infant siblings. Visitation will be from 2 PM – 8 PM Sunday at Naville & Seabrook Funeral Homes Market Street Chapel (1119 E. Market St., New Albany, IN.